(Augusta, GA.) Masters week got off to a rousing start on Sunday with the fifth edition of the Drive, Chip & Putt National Finals at Augusta National. There Michigan saw its first overall winner as Cheboygan’s PJ Maybank III won the boys 12-13 division. In his second trip to the Finals, Maybank was coached by PGA instructor Brian O’Neill of the Jack Nicklaus Academy. Kewadin’s Josh Lavely earned trophies for winning the boys 14-15 division’s Long Drive and Chipping events and lost in a putt-off for the overall title. Okemos’s Allison Cui placed 4th in the Girls 12-13 but won the Long Drive portion with a poke of 237-yards. Finally, Clarkston’s Georgia Bosart placed 3rd in the Girls 7-9. “Constant improvement” is an oft-heard mission statement at the Masters. Co-founders Bobby Jones and Clifford Roberts (especially the fastidious Roberts) first preached it to make the tournament better each year. Subsequent chairmen have kept pace with change while maintaining the Masters traditions. Following massive renovations and new construction in recent years to the “campus” as seen in the huge practice facility, parking and new patron entrances, and press center, this year an expanded Golf Shop made its debut. Incredibly it was erected in a few months at breakneck speed following the 2017 tournament. Located in the main patron corridor, it doubles the space and delivers a state-of-the-merchandise experience. Clothing options on 385 mannequins are displayed on high shelves with corresponding numbers so patrons can quickly reference them for workers to fill orders. Although the Shop is jammed-packed, the long lines for check-out at 64 registers move steadily. One of the popular items is a Masters Garden Gnome—dressed in the trademark white caddie outfit— at $39. Some other selected items and prices were: quarter-zip vest at $79, visor at $20, long-sleeve tee at $48 and Masters coasters at $18. On Monday, the city of Augusta honored native sons Jim Dent and Vaughn Taylor at its annual Mayor’s Masters Reception. Both were given a key to the city. Taylor is a three-time winner on the PGA TOUR and a member of the 2006 Ryder Cup team. Growing up as a caddie at Augusta National, long-hitting Dent evolved into a dominant player on the PGA Champions Tour, winning 12 times. Augusta is bustling with several notable development projects, including construction of a massive (State of) Georgia Cyber Center for Innovation and Training, inspired by the Pentagon’s edict to consolidate its U.S. Army Cyber Command at nearby Fort Gordon. That consolidation, along this Center, will result in thousands of news jobs and millions of investment dollars. Other projects include a new ballpark for the Augusta GreenJackets minor league baseball team; the new SRP Park, a $200 million gathering of eateries, retail, hotel rooms, office space, condos , etc. ; and finally a big jump in road projects and improvements buoyed by a special one percent sales tax of the 2010 Transportation Investment Act. Michigan, please take heed of the last item. Taxes are also investments. I also sat on Jordan Spieth’s presser. I didn’t realize that Spieth was sick and bed-ridden last December which contributed to his slow start this year. He also mentioned the struggles he incurred with his usual sound putting. He couldn’t synch up his eyes looking at the line with the putter set-up. “…When I set my putter down and I look up, they’re not looking at the same place. And it just went—sometimes I get that for a day, sometimes it’s a couple weeks, and I was getting it for a couple months.” But on Tuesday Spieth seemed confident he had corrected it as seen my his strong finish in Houston. I really liked listening to Spieth’s approach to Augusta National’s demanding putting surfaces: “As far as the greens, you just have to have a lot of feel. Like when I see these greens, my first thought isn’t where this putt goes; my first thought is what’s the speed that’s needed on this putt. A lot of times—well, there’s just only either this place or maybe a very small handful of others in the world that make you think that way. For whatever reason, that’s been beneficial to me, when I focus just on what speed does this need to get in. On Wednesday, the Chairman’s annual Press Conference saw incoming Masters and ANGC Chairman Fred Ridley deliver the blockbuster news about a new Augusta National Women’s Amateur Championship in April 2019. Inspired by other “grow the game” initiatives such as the Drive, Chip & Putt and the two international men’s amateur championships, the 54-hole stroke play tournament will feature an international field of 72 players and take place at Champions Retreat GC in Augusta for the first two rounds and conclude with a final round at Augusta National on Saturday, April 6, the day before the start of the Drive, Chip & Putt National Finals. 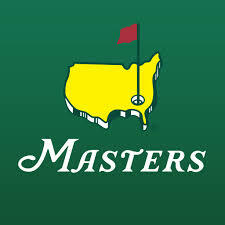 The event is expected to be televised and daily tickets onto the grounds of Augusta National will be handled by a random ticket lottery to be announced later. A father of three daughters who are golfers, Ridley felt the time was right for this initiative and for the club’s commitment to “grow the game.” He said: “This championship will become an exciting edition to the Masters week, and it furthers our effort to promote the sport and inspire young women to take up the game. And, now, just imagine the 40 girls who come here each year for the Drive, Chip & Putt national finals will be able to dream about returning here one day to compete on a much grander stage for another impressive title, champion of the Augusta National Women’s Amateur.” Ridley later revealed he only broached the subject to the club’s senior staff this past October. “So that was a pretty tall order to be given just five months ago. But, in characteristic ways, our staff responds,” said Ridley, who rode down Magnolia Lane 42 years ago to compete as an amateur in the 40th Masters Tournament. For the past 11 years, he was chairman of the Competition Committees now managed by Jim Hyler, past President, like Ridley, of the USGA. Of course, the on-course highlight on Wednsday was the Par 3 Contest which was won by 68-year-old Tom Watson with a six-under-par 21. Watson became the oldest winner of the Par 3. And GT Nicklaus, Jack’s 15-year-old grandson who was caddying for him in the group with Watson and Gary Player, aced the ninth hole, the traditional hole where caddies get a chance to tee it up. It was a sensational moment. Thanks to former Masters chairman Billy Payne for making the decision years ago to televise the Par 3.